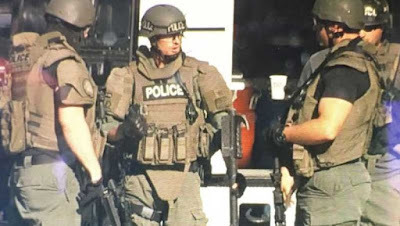 An 11-hour police standoff following a reported domestic dispute ended when officers raided the house and realised it was empty. Police surrounded a neighbourhood in Redford Township, Michigan just after midnight on Saturday after getting reports about a domestic situation between a woman and a man who was possibly armed. Police believed a man had barricaded himself in his home, shutting down a neighborhood and leading to the 11-hour standoff with an empty house. 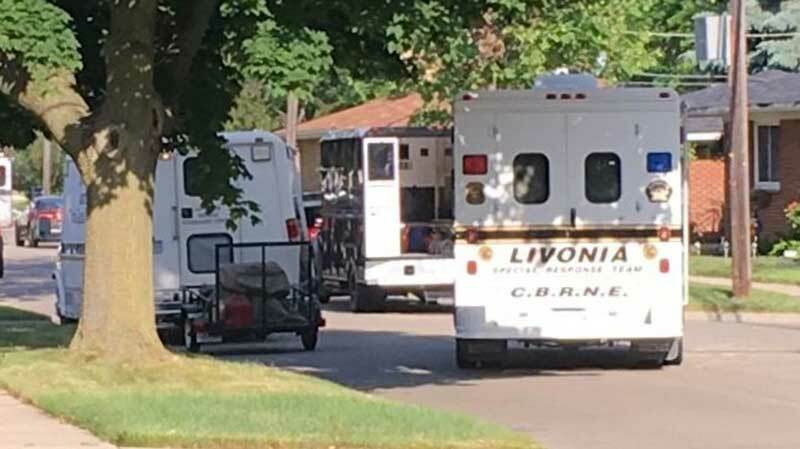 The Livonia Special Response Team assisted Redford police with the scene. Tear gas canisters were fired into the home and a robot was used to try and find the man inside. 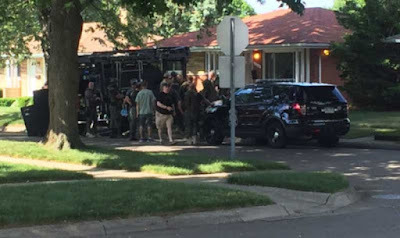 The home was found empty when authorities entered late on Saturday morning. It appears to have stemmed from a domestic situation. A husband and wife's argument became violent, sending the couple through the glass front door. The wife told police her husband stabbed her. The wife said the argument started after she told her husband she wanted a divorce after about six weeks of marriage. The husband had apparently left the home before police arrived.